Dragon Ball Fusions will be coming to North America on December 13. Meanwhile, Europe will receive the game in February 2017. SANTA CLARA, Calif., (September 21, 2016) – BANDAI NAMCO Entertainment America Inc. the premier publisher of anime videogames today announces DRAGON BALL® Fusions, a new portable Dragon Ball® Action-RPG experience for the Nintendo 3DS handheld system. DRAGON BALL Fusions is scheduled to launch in the Americas on December 13, 2016. Currently in development at Fukuoka, Japan based Ganbarion Co., Ltd; DRAGON BALL Fusions is the latest Dragon Ball experience to appear on the Nintendo 3DS platform. DRAGON BALL Fusions is an Action-RPG game that combines fighting, customization, and collecting elements to bring the Dragon Ball world to life. The game features a huge roster of character appearances stretching across Dragon Ball all the way to Dragon Ball Super. Players will have the opportunity to enter an all new original Dragon Ball story in DRAGON BALL Fusions’ Adventure mode or prove their fighting prowess in Multiplayer Battle mode. 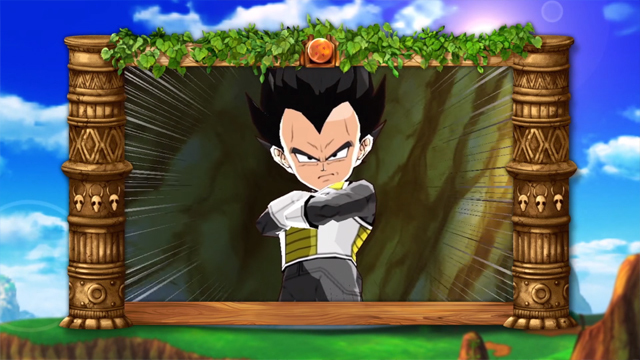 DRAGON BALL Fusions also enables players to combine the powers between characters to create endless combinations of powerful characters. Players looking to share their DRAGON BALL Fusions fun will be able to use the Nintendo 3DS’ camera to take pictures with friends and fuse them with Dragon Ball characters or trade special moves with nearby players. DRAGON BALL Fusions is currently rated “T” for Teen by the ESRB. The game will be coming to the Americas exclusively for the Nintendo 3DS handheld system on December 13, 2016. To learn more about BANDAI NAMCO Entertainment America Inc.’s other products go to: http://www.bandainamcoent.com/home.html or follow us on Facebook at https://www.facebook.com/BandaiNamcoUS or join the conversation on Twitter at http://www.twitter.com/bandainamcous.